Another month has passed us by, which means it is time for another installment of the expected dividend increases series. Prior to delving into the dividend increases that I anticipate for the DGI portfolio for the month of October, I'll start by recapping the dividend increase(s) from September, and their impact on my dividend income. As expected, there were two raises for the month of September. This isn't surprising as I've found that most of my dividend raises are concentrated in the last couple months of the year and the first couple months of the year. Realty Income (O) announced a 0.2% dividend increase from $0.22/month per share to $0.2205/month per share. 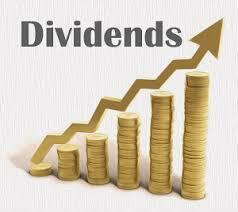 This dividend increase was about in line with what I expected. This raise in the annual payout from $2.64/share to $2.646 increased dividend income across my 4 shares by $0.024. Not the most impressive raise, but I'm most excited for O's raise that will be announced early next year as O's first raise of the year is historically the largest (at around 4%). WP Carey (WPC) announced a 0.5% dividend increase from $1.02/quarter per share to $1.025/quarter per share. This dividend increase was also in line with what I expected as WPC has raised its quarterly dividend by $0.005 every quarter for the past 2 years. This raise in the annual payout from $4.08 to $4.10/share increased dividend income across my 3 shares by $0.06. Again, a small raise but when considering that my yield on cost (YOC) is 6.8%, I'm not expecting gang buster raises from WPC. There are other companies in my portfolio that will augment my dividend increases, such as Abbvie (ABBV), Lowe's (LOW), and Home Depot (HD) to name a few. #1: Enterprise Products Partners (EPD) will likely be announcing a dividend increase some time this month. If EPD continues to follow the pattern that they have been for the past 3 quarters, they should be raising their dividend by 0.6% yet again from $0.43/quarter per share to $0.4325 per share. If this is the case, my annual dividend income will increase $0.09 across my 9 shares. #2: EQT Midstream Partners (EQM) will likely be announcing a dividend increase some time during this month. I believe that EQM will announce a raise similar to the last one. That would mean that the dividend will be increased 2.3% from $1.09/quarter per share to $1.115/quarter per share. If this does happen, my annual dividend income would increase $0.40 across my 4 shares. #3: Dominion Energy (D) is the wild card of this group as they did announce a small dividend increase around this time last year, but they historically announce their largest dividend increases in January. If D does announce a raise this month, I'd expect it to be in the low single digit range like 2% or so, from $0.835/quarter per share to $0.85/quarter per share. If this happens, my annual dividend income would increase $0.18 across my 3 shares. September was a fairly light month in terms of dividend increases, but for this time of year, that is to be expected. Although the total impact on my annual dividend income was only $0.084 in dividend raises, the important point is that my income is continuing to grow through dividend raises, reinvestment, and the fresh capital being contributed to my retirement account with each paycheck. How many dividend raises are you expecting for the month of October? Are you expecting any large raises (i.e. double digits)? What will be the total dollar impact of the raises that you are expecting? Always nice to see some good companies bumping up their dividend! Absolutely! Dividend raises will be especially important to me over the next 9 months as I am only able to contribute to my retirement account at this time due to paying tuition until I graduate next summer.